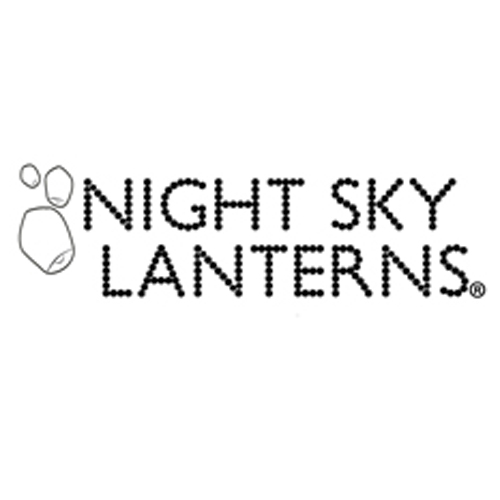 Sky lantern is a generic product name and as per any other product they can be made with different materials. In addition, generalising on any subject is not an appropriate way to criticise anyone or anything. For example, some cars have zero emissions while others are not so clean for the environment. Amongst all, there are some car companies who cheated to show low emission levels. The Sky Lanterns displayed on the photo below are only few of the counterfeit sky lanterns sold on Amazon and Ebay. They may look very similar to our products but some of those have a rope made with asbestos which is invisible to human eye (Annex: page 22-23). All sky lanterns are assembled using paper, bamboo stick, fire-proof string or metal wire and the fuel-cell. The performance and reliability of the final product are strictly related to the materials used to produce each component. Indeed, the paper of sky lanterns can be made from cotton cellulose, rice cellulose or other celluloses. Moreover, the grade of the paper (gm²) can vary from 10 gm² to 25+ gm². This implies that the structure of cotton paper has higher heat retention compared to rice paper and higher paper grade improves the stability and performance of the lantern while flying away. All sky lanterns are made using a very thin bamboo stick to create a ring at the base of the lantern where all facades of the paper are glued together. The bamboo ring has also the function to hold the fuel-cell positioned in the centre of the base. To hold the fuel-cell at the base of the lantern, some sky lanterns are equipped with fire-proof string, while others use metal wires and others sky lanterns are made with a rope containing deadly Asbestos. Last but not least, the fuel-cells or combustibles are also made with different materials. In fact, the most innovative fuel-cell is made with cotton cloth while others are made with compressed cardboard or other low-cost fuel-cells are made with fibreglass. It is noticeable that these materials have different production costs and consequently some are better than others. This is also true for any product assembled with high quality materials which have higher performance than those made with economical components. All the above is to highlight that if sky lanterns have caused some concerns regarding their impact on wildlife, livestock and the environment, the issue cannot be indiscriminately associated to all sky lanterns. Indeed, many reputable suppliers have heard those concerns and invested to develop innovative materials to overcome those concerns and improve users’ experience. It is important to point out that there is no evidence that sky lanterns can kill or injure wildlife or domestic animals. In fact, the only photo used for propaganda reason is a staged Owl tangle in the wire of a sky lantern, which is clearly made-up picture to prove a distorted point. It is unthinkable that a bird of that size does not have the strength to break a delicate bamboo stick which birds are renowned to be masters in building nests with. Regarding concerns that sky lanterns can cause death to livestock via digestion is totally illogical. Assuming that a cow or a sheep may be attracted by the paper and assuming that animals may eat all paper of the lantern, but anyone who has seen these animals eating grass or hay knows very well that they are able to separate with their lips a single straw from the bunch of hay in their mouth if it is not to their taste. Therefore, it is highly improbable that livestock would attempt to chew a metal wire or even more impractical that the animal would swallow a metal wire. However, must be said that the metal wire may cause some inconveniences to farmers because the metal wire could get stocked in their machineries while harvesting crops and working the land or it could get stacked underneath a car. It is appropriate to say that sky lanterns made with fire-proof sting are 100% biodegradable, totally safe for wildlife, domestic animals and livestock and given for granted that only sky lanterns made without asbestos are released free, they do not cause any environmental issues or polluting the environment. The solution to minimise the impact of sky lanterns on the environment is to provide correct information on the latest innovations and empower consumers to make the change toward more ethical, ecological and safer sky lanterns. More importantly, it is necessary that users are very caution to avoid been misled by criminals who are selling poor quality and contaminated sky lanterns. On the other hand, Councils need to acknowledge and communicate correct information rather that prohibiting everyone indiscriminately. Register your email for an instant 15% off!